Chinese Reader series “Tong Du Tong Xin” Chinese Audio Book comes with Preschool and Primary School Series. The Preschool series consist of character building stories that allow children to learn good values and traditional virtues such as courtesy, care and share. 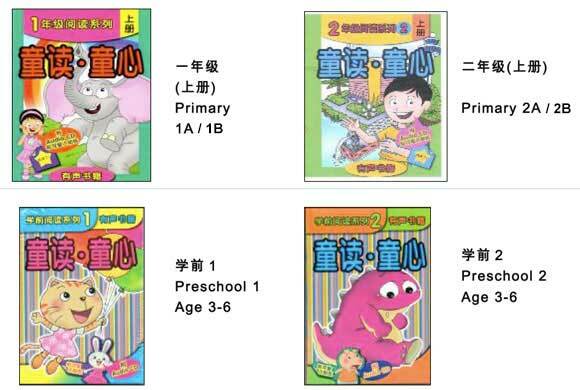 The stories in the Primary School series are compiled by using the vocabulary taught in the Primary One and Primary Two Chinese syllabus. Children are able to revise the vocabulary effectively while reading the stories. In addition, all stories in the series are followed up by interesting activities to reinforce children’s learning.